Welcome to New Brixton Brewing. 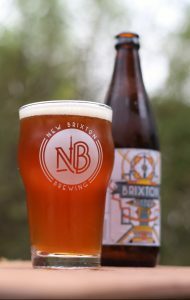 Established in 2016, New Brixton Brewing aims to provide excellent, interesting and innovative craft beers. This philosophy is encompassed by our first beer, the Brixton Bitter. Which is both easy drinking and flavourful. Click on “Brixton Bitter” from the menu for more information about the beer that was born in Brixton. Distribution is limited so have a look at our map to find an outlet that stocks New Brixton Brewing beers.